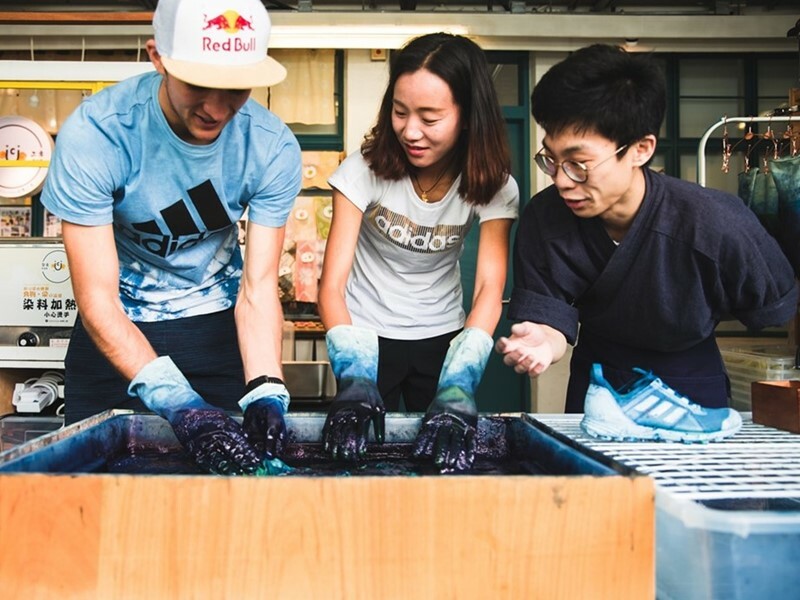 The Zero Dye design concept to was taken to a new level by a team of professional adidas TERREX trail runners, in Hong Kong to race the Vibram Hong Kong 100 Ultra Trail Race (HK100, January 2019), by dyeing their naturally white kit indigo blue; the colour synonymous with the region. 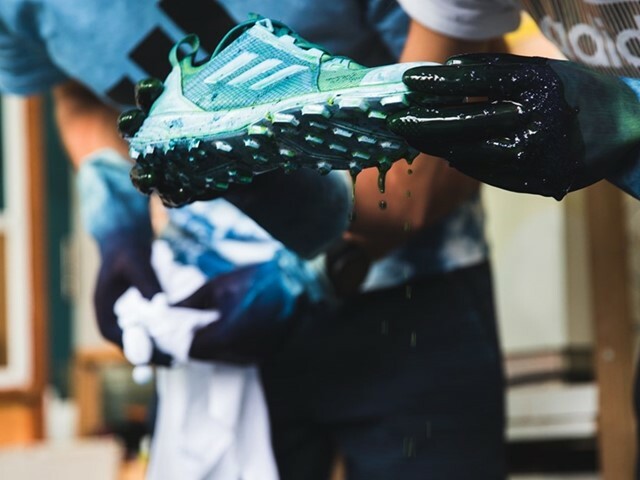 The Zero Dye trail running pack from adidas TERREX is a concept that flips conventional footwear on its head, using materials in their natural colour state to save natural resources. That means every shoe is waiting for runners to write their story as they run; every mark is a chapter, every stain and mud-splat a subplot in unique off-road adventures. 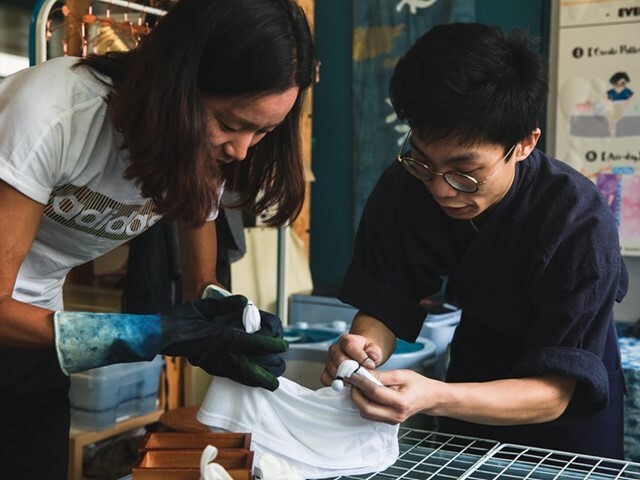 Hong Kong has long been obsessed with the colour blue, dating back to the 19th century when indigo dyeing workshops across the city catered for the raging craze for blue fashion. 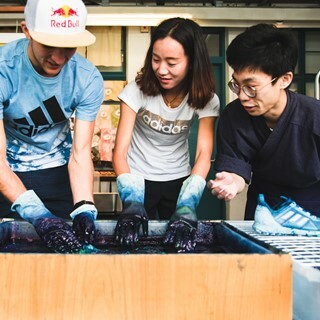 This history and culture presented an opportunity for the brand and the athletes – including 2018 Ultra-Trail du Mont-Blanc (UTMB) champion, Tom Evans - to unleash their imagination and creativity, by personalising their running kit with a natural indigo dye. 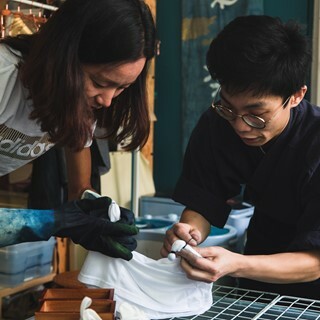 “Skipping the dyeing process in manufacturing is not only a creative decision, it also saves resources in the production process by using materials in their natural colours, bringing a new element of sustainability to technical clothing design” explains adidas designer, Jessica Goddard. 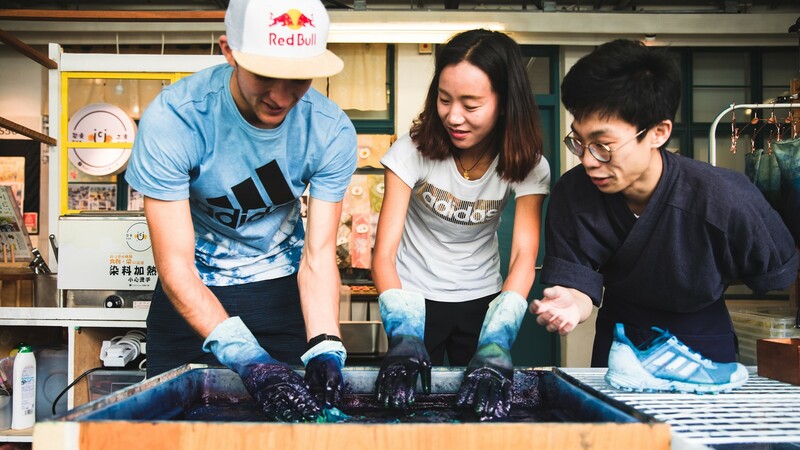 So, when the athletes signed-up to compete in the HK100, transforming their white kit with nature blue dye become the perfect opportunity to mark the occasion in a distinctive way. Congratulations for strong performances from the whole team representing adidas TERREX in the HK100, including Lu Yangchun as 1st female to cross the line, and being one of three team runners enjoying a top 10 female finisher result. Make new milestones. Designed to help you find your flow, the TERREX TWO BOA® is engineered for long trail runs. A trail running shoe that goes as far as you dare take it, the TERREX TWO BOA® thrives on mid-to long-distance runs in all terrains and makes every trail feel like a trail without obstacles. Superior cushioning, stability and breathability come in a trail-specific fit – including a snack heel and wide forefoot for distance runs. Made with Zero Dye materials, the TERREX TWO BOA® packs sustainability to match the functionality. The result is a comfort that pushes you through the ups and downs, past the point where others stop to celebrate. When race day comes around, you need a shoe that can keep pace. Supremely flexible, super fast: the TERREX AGRAVIC SPEED is built low to the ground, with a breathable, sock-like construction. 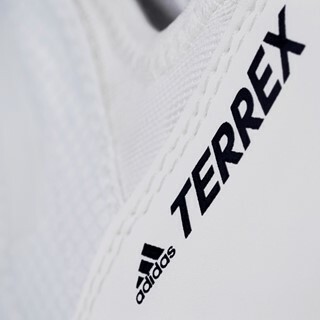 It’s the lightest TERREX trail running shoe to date. So you can concentrate on the heavy graft. Conquer any trail with the Terrex Agravic. This fast and light trail running shoe utilises the peerless energy return of BOOST® above a Continental Rubber sole for maximum grip and control. The toughened upper provides added support and durability, even on the toughest routes. Carve your own path with the TERREX TRAILMAKER. This versatile shoe is ready to tackle anything a mountain can throw at it. Simultaneously flexible and stable, it ensures comfort during any distance. 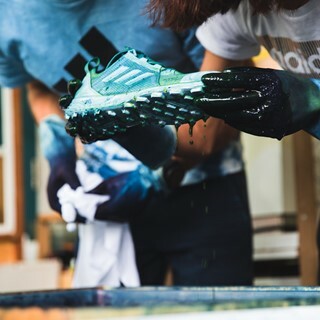 We do this by striving for new, innovative design solutions, made possible by integrating adidas’ own technologies as well as the finest materials from partners including GORE-TEX®; PrimaLoft®; Polartec® for apparel; and Stealth® and Continental rubber for foot wear. We are proud to count outstanding athletes as Sasha Di Giulian, Shauna Coxsey, Kevin Jorgeson, Martin Söderström, Kai Lightner, Nina Williams, Luis Alberto Hernando and the Huber Buam in our family and to be a long-standing title sponsor for adidas ROCKSTARS, the contest for the international bouldering elite.